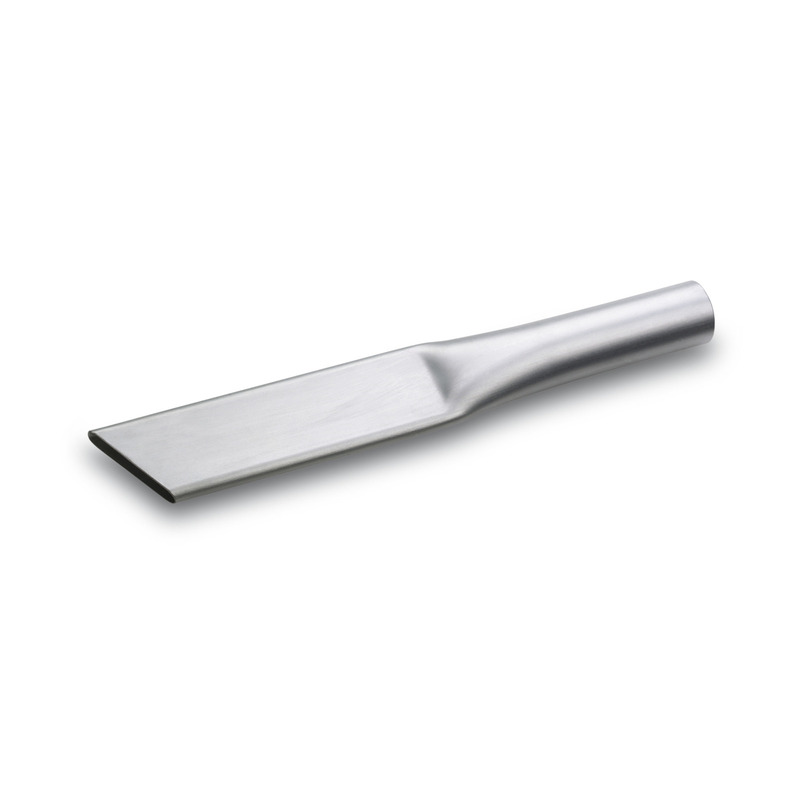 Metal crevice tool (for coarse dirt/ash filter) 26409510 https://www.kaercher.com/ie/accessory/metal-crevice-tool-for-coarse-dirt-ash-filter-26409510.html Extra-long metal crevice tool (360 mm) for removing ash or coarse dirt in difficult to reach areas. Applications: fireplaces, saunas, tiled stoves, barbeques, etc. Extra-long metal crevice tool (360 mm) for removing ash or coarse dirt in difficult to reach areas. Applications: fireplaces, saunas, tiled stoves, barbeques, etc. Nozzle ideal as an accessory for Kärcher ash filter.